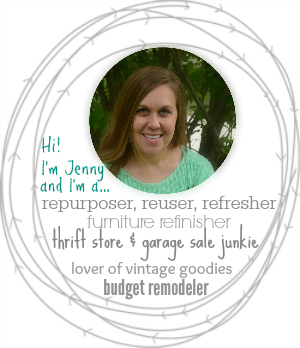 I’m so glad you found Refresh Living and have enjoyed some of the projects that you’ve seen. Thank you for stopping by! You probably already have a general feel for who I am, but let me tell you a little more about my home and my blog. I want my home to be my happy place. I’ve always loved decorating it, but I’ll be the first to admit that I have no idea what I’m doing. When I first bought my home 12+ years ago, I loved browsing through the home decor sections of stores, bringing home the items that I loved for one reason or another. Truthfully, I look back now and know I wasted quite a bit of my hard-earned cash on items that I thought would make my house into a home I loved. You see, making my home match the latest home decor trend that is brought into stores was fun for awhile, but I figured out (after quite a few years, I must admit) that my home needed to represent me, and, ​more importantly, fit into the reality of my life. We have three young kids. Kids are gross and destructive. Yeah, yeah – I see posts on Pinterest all the time about how you can have a beautiful home with kids. I’m just not buying it. We have a modest-sized home. I share this because none of the rooms in our home are “extra” spaces, nor are any of them unused. I need to be creative with the pieces I bring into my home, as most of them need to be functional ​and​ pretty. Considering all of these realities, my previous decorating habits needed to go. Which brings me to my current decorating mantra: Fill your home with what makes you happy, without spending a lot of money. The only way I’m able to do this? Garage sales, estate sales, thrift stores, flea markets, and home improvement stores. 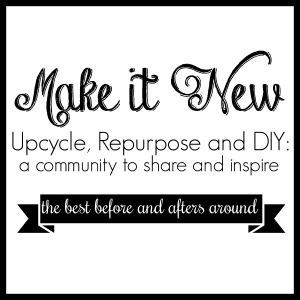 Yep, as I look around my home today, at least 90% of the items are repurposed, reused, refinished, or built and/or installed with my own two hands. The creativity and ingenuity that goes into giving these items a new lease on life, and a place in my home, is seriously so much fun. This is what makes my home my happy place, and my blog is a place to share those projects with you. I still have no idea what I’m doing, but I do know I’m now creating a home that I love. Hopefully, my gross and destructive kids will grow up loving it too. 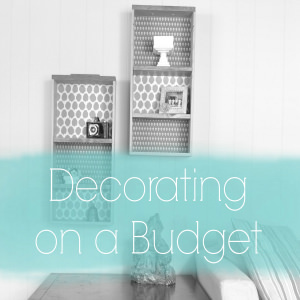 Do you love to make your home your happy place on a budget too? I’d love for you to join us!